Well, for some reason this one didn’t come as a surprise for me. This story came to my attention from the Yahoo Tithing Study Group. You can read the story here on msnbc. Crystal Cathedral Ministries, an Orange County landmark and megachurch founded by television evangelist Robert H. Schuller, filed for Chapter 11 bankruptcy Monday morning. . .
. . . The Cathedral, which has been a landmark and a tourist attraction with its glistening glass tower, is now faced with $55 million in debt because of the economy and dwindling contributions. Nope. We don’t want to admit that it was stupid financial decisions, so we have created a straw man to beat up instead. It’s the economy’s fault, and it’s your fault because you are not giving what you used to.
. . . Church board member and Schuller’s son-in-law, Jim Penner, said Friday that the cathedral’s intention is to repay all vendors 100 percent. At least they have good intentions. But then again you know how the saying goes – the path to heaven was paved with good intentions and crystal cathedrals. Among the long-time vendors for the “Glory of Christmas” pageant still waiting to get paid are Oliver, who supplied camels, horses and sheep for the pageant; wardrobe manager Juliet Noriega; dry cleaner Bruce Johnson, who cleaned the actors’ costumes; props manager Sharon Crabtree, and Carin Galletta, whose public relations firm provided publicity for the pageant. I’m sorry, but, um, next time let’s use props instead of real, live animals. The good thing about all of this financail turmoil and calamity is that it is causing many people to reconsider where they want focus their energies and financial resources. Honor, trust, and confidence among individuals and institutions can easily be thrown under the bus when society’s core values are in a state of decline. Many were lured into the false belief that religious institutions were somehow immune to such forces of nature. All institutions, religious or secular, are composed of men. No matter how priestly and divine such men may appear to be…they are no different than the rest of us and God is no respecter of persons. 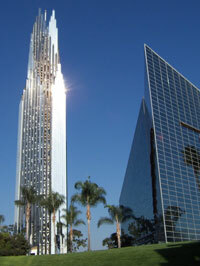 I saw somewhere the auditors were going through the books at Crystal Cathedral there and had some questions. The article I saw online was poorly written and didn’t substantiate much, but it seems the bankruptcy court guys are having to figure out this big mess.